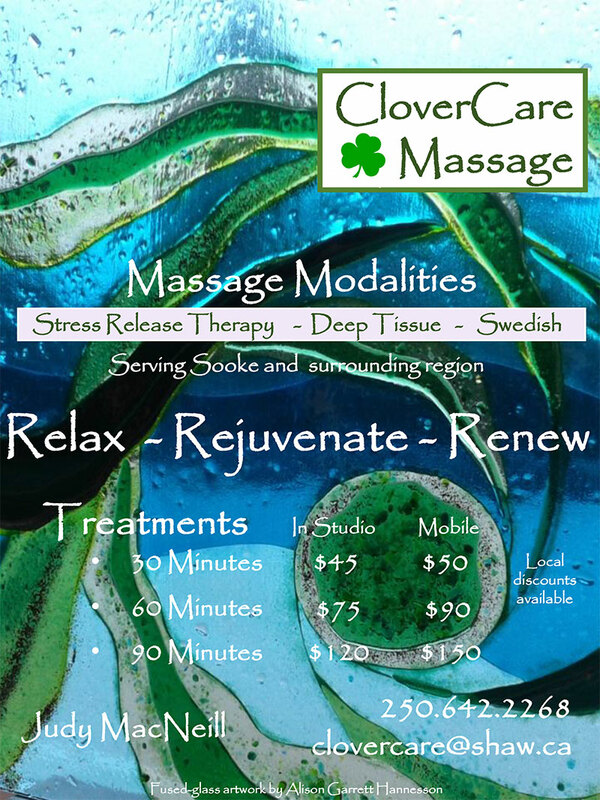 CloverCare Massage was established in 2000 by European trained nurse and massage practitioner Judy MacNeill. 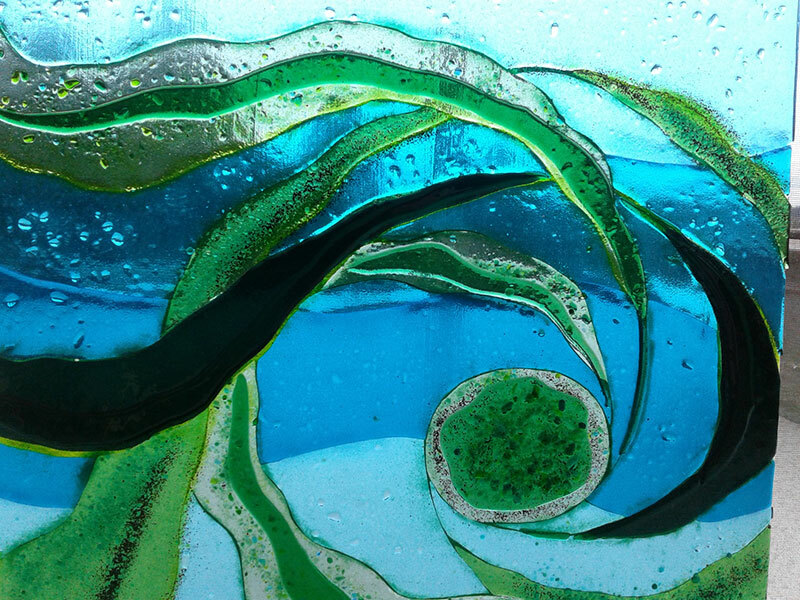 I offers mobile service to B&B.s and vacation homes. 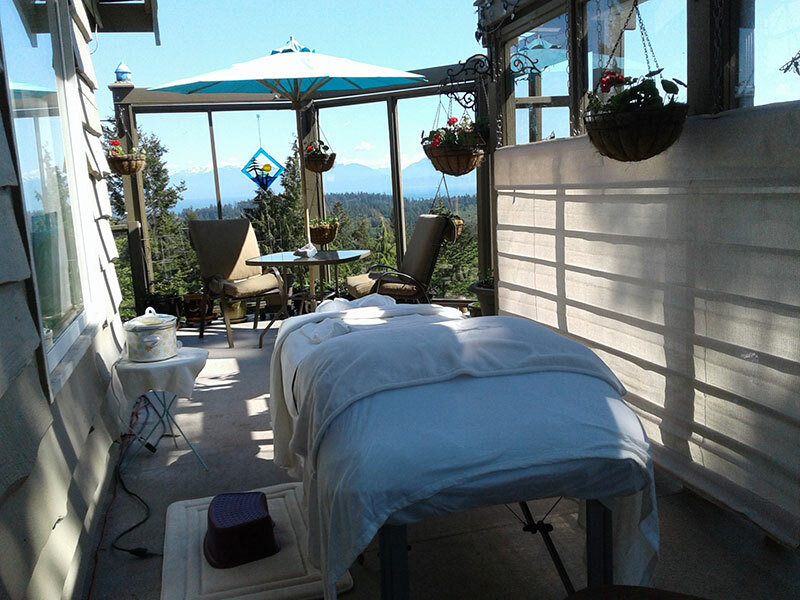 CloverCare Massage modalities include Deep Tissue and Swedish Massage.CloverCare Massage studio is located at 2265 Henlyn Drive Sooke, in the summer months enjoy a relaxing massage alfresco treatment on the glass covered deck overlooking the Straits of Juan de Fuca and the Olympic mountains, or in the cozy in home studio. 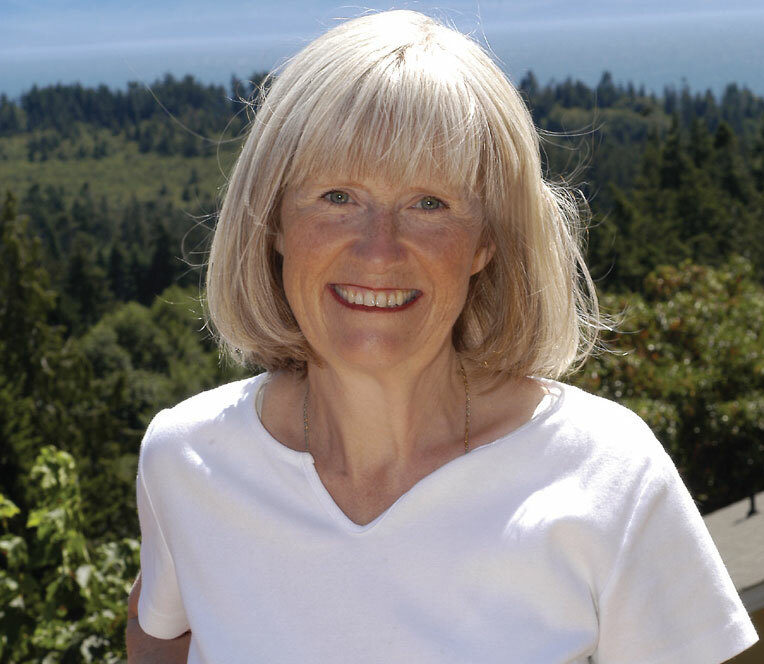 Prior to calling Sooke home Judy practiced massage in Toronto, and Stratford Ontario and Whitehorse Y.T.sharing clinics with a naturopath and chiropractor. When not treating clients Judy welcomes newcomers to Sooke,as a Welcome Wagon representative. Aside from her passion for the healing arts, she loves co-hosting dinner parties for friends, theatre, music,and recently has taken up piano.